The Trail features work from internationally recognized artists as well as up-and-coming local artists. Meet the artists and learn more about the stories behind their concepts. RICHARD DEUTSCH works with stone, water, bronze, and stainless steel to craft thought-provoking sculptures that build community and captivate continued interest. His work is featured in major urban plazas in San Francisco, Washington, D.C., and Arlington. Deutsch’s sculptures are part of the permanent collections of San Francisco’s de Young Museum and the Smithsonian Institution. 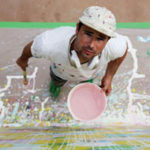 HENSE is an internationally recognized contemporary public artist who has been creating colorful works of art combining techniques of street art and abstract painting for nearly two decades. His explosive free form of compositions in lyrical color harmonies are layered with an almost calligraphic sense of mark-making. 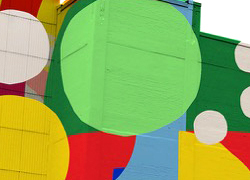 A native of Atlanta, Georgia, HENSE has been commissioned to complete murals around the world. 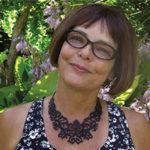 VICKI SCURI focuses on site responsive, collaborative design and public art, with emphasis on community identity through awareness of place, history and culture. Her work, while functional, invites public imagination and engagement, featuring the play of light through the casting of shadows. These pieces reflect community identity, promoting awareness of place, heritage, and the environment. 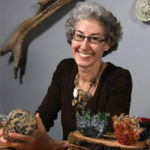 ALISON SIGETHY is a Resident Artist at the Torpedo Factory in Alexandria, Virginia and was named Torpedo Factory Artist of the Year in 2010. Traditionally a glass artist, she is compelled to use different mediums for public art with the intention of creating memorable installations that enhance the space in exciting and creative ways. 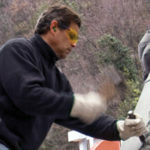 ADAM CURTIS is a seasoned fabricator and sculptor from Ijamsville, Maryland. 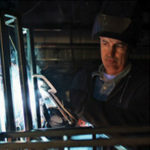 He studied sculpture at the School of Visual Arts in New York and exhibited around the world before moving to Maryland, starting a family, and founding a high-end metal fabrication facility. He has had large pieces on display in Chicago at the Navy Pier as well as in Connecticut, North Carolina, and Tennessee. 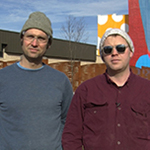 Christian Benefiel and Ryan McKibbin are a creative team specializing in public sculpture, functional design, and community integrated installation. Based in Maryland, they have completed projects for a variety of institutions, architects and private clients. Both natives of the Baltimore Metro Area, their respective studio practice is tied to a history of craft and culture in the Chesapeake Bay. Navy Pier as well as in Connecticut, North Carolina, and Tennessee.